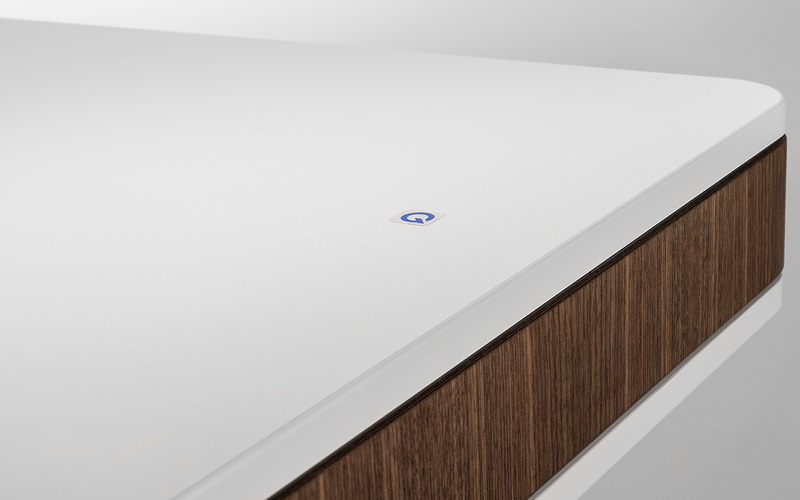 Smartphones and -watches can be charged wireless with the QI-Charger, integrated into the desk top of moll T7, moll T5 and Champion. This feature is available as an option. With a QI-Charger, you can charge your phone without cord. Instead, it gets power by induction. 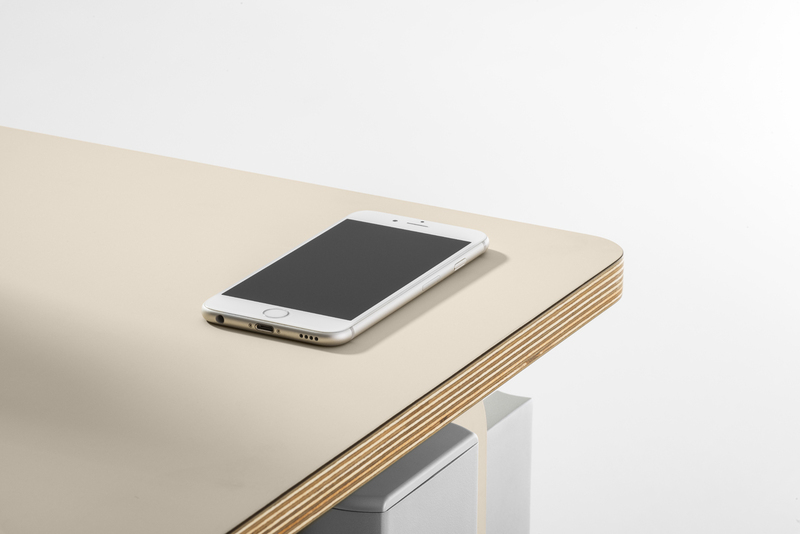 Meanwhile more and more mobile phones support the QI standard for wireless charging. Wi-Fi is the global standard for wireless internet connections – Bluetooth the standard for handsfree. QI will become the global standard for wireless charging for battery-operated devices. Unlimited smartphones – the same number of different chargers. This is not necessary when loading QI. The only requirement is a QI compatible device. Friends and visitors can recharge their smartphones quick and easy when they are with you. 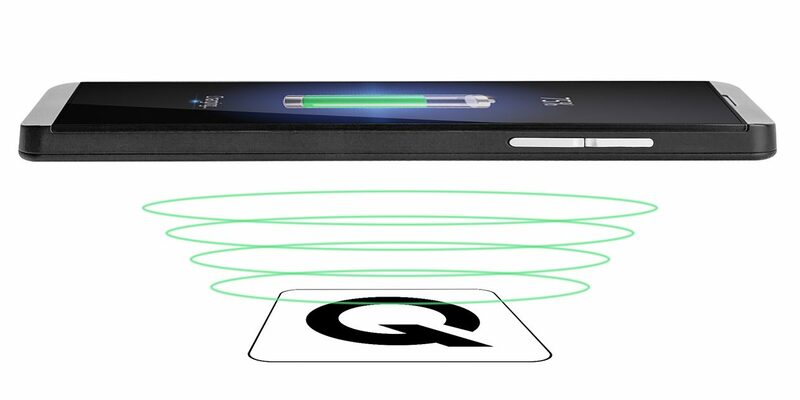 How does QI Wireless Charging works? 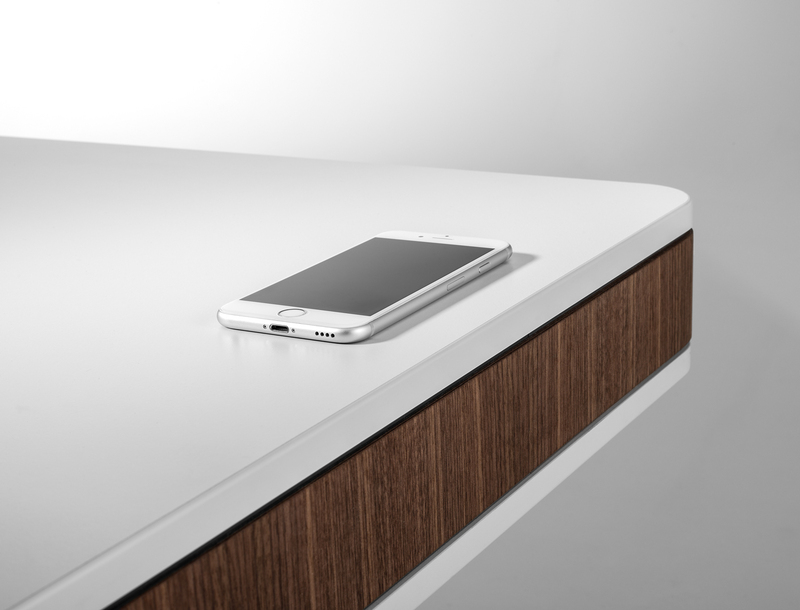 For wireless charging, the smartphone must be placed directly on the charging station. Because there are coils in the smartphone and the charger that have to lie on top of each other. As soon as the phone is on the charger, it transmits energy to the phone. However, this only works if the smartphone is close enough to the charger. There must be not more than three millimetres between the charger and the smartphone. The induction charging can also be blocked by a thick smartphone shell. If the QI compatibility and the need for energy transfer are given, the charging process is initiated by induction. During the charging process the both remain in contact and switch into standby mode as soon as the battery is fully charged. Another advantage of the QI-Charger is that it only transfers energy when a device, that requires charging is placed upon it. Is My Phone QI enabled? Check here if your phone is Qi enabled or not.